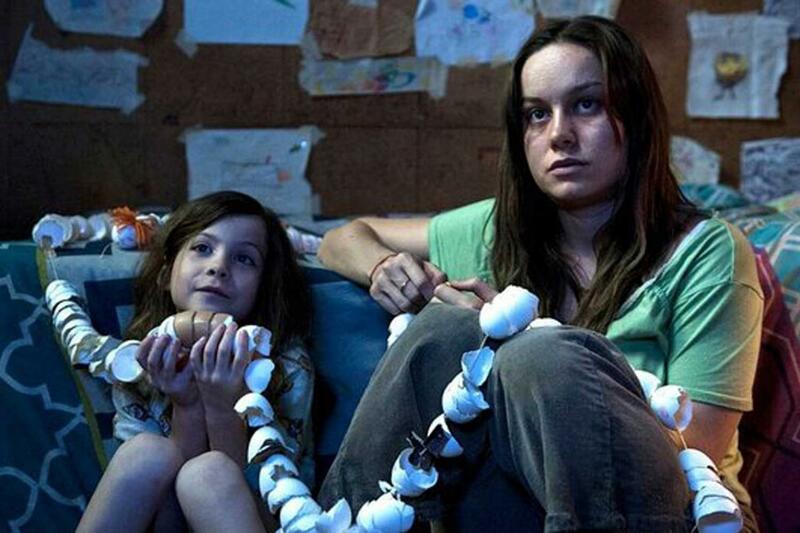 At the start of Room we find “Ma” (Brie Larson) and her son “Jack” (Jacob Tremblay) living in a backyard shed they call “Room” and being held by their captor “Old Nick” (Sean Bridgers). Since Jack has never known there to be an outside world, he has no idea that anything exists outside of Room. From that moment on it’s a ripped-from-the-headlines Law & Order:SVU episode, which isn’t to say that’s bad as I watch the show faithfully. I’m truly not giving anything away to state the obvious that Ma and Jack escape Room, as the movie is more about the ability of each to cope with the outside world. For Jack, everything from that point on is a completely new experience. Ma, despite having lived for 17 years in the ‘real world’ before being kidnapped as a teen, being held captive and having a child, encounters different obstacles – as the world has moved on, and she also encounters doubts about her own ability to be a mother to Jack. I’d been expecting a suspenseful drama-thriller about a daring escape, and what it would entail and the follow-up to this as the movie is based on a novel by Emma Donoghue. As the first half of the film concentrates on life inside Room for Ma and Jack as all she has told and convinced Jack for five years that all is well and that what they have is a normal life, that what they see on television is not real, but everything from the single bed to the lidless toilet tank is definitely their reality. She does sacrifice much as she tries to keep Jack happy and safe, even to the point of giving herself over to her captor on a regular basis in exchange for food and other items for Jack and herself. To say that this first half moves slowly would be to understate things. We don’t just get a slice of the life that they lead in Room – we actually get the entire pie, and most of it just isn’t all that exciting or intriguing. We do get to see a little into the characters of the characters but in any event, it’s just way to much time spent watching their every move which gets a bit monotonous and leads to some impatience with where they are heading with the film. 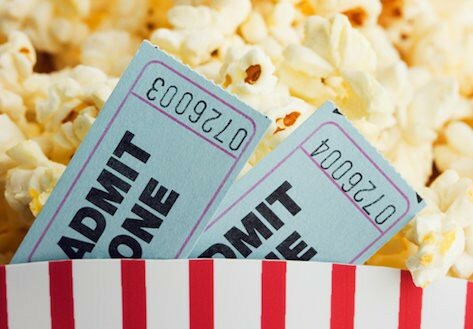 As we finally build up to the escape you have the only brief moment of suspense of the entire film. Once they do escape the focus quickly shifts from a struggle for survival to a struggle to understand. Ma’s parents, “Nancy” (Joan Allen) blink-and-you- miss-him William H. Macy as her dad “Robert”, have different reactions to the return of their daughter and the arrival of their grandson whom they didn’t even know existed. In the years since her abduction, her parents have separated; her mom now lives with her boyfriend “Leo” (Tom McCamus). Add in to all this the slew of media hype, lawyers, and so much more adding in to the stress of adapting to all of it sorta gives the impression that escaping may have been the easy part. 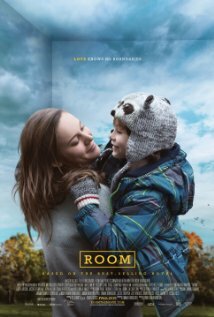 The acting is good..not great, but Larson’s has a few moments though can also be awkwardly annoying at times and the same can be said for young Jacob Tremblay though he carries himself very well and holds his own here. But truly nothing can overcome what’s basically a tedious script and film. The movie is mostly a series of plodding events and could honestly have been titled as such as packs no punch at its core. Usually when there is no action, you look for meaning, but when there is no meaning or action, you look for the exit. The film suffers from spending too much time contemplating things and not enough time doing them – or even at the least discussing them. With a very full stage of everyone behind the movie including the young Jacob Tremblay who as an 8 year old..should have been in bed at 9:30pm on a weeknight..:D But they did go into some depth of how they made the film of getting Brie & Jacob to spend time together so as to get to know each other so as a child, Jacob would feel more comfortable. Directors & Producers talked about location shooting and the Composer on his musical choices for the film. Poor Jacob had the longest question I’ve ever heard asked to anyone at a Q & A, adult or child, to the point where the audience started to laugh..since not even I could keep up with the length of it, it was mostly about being a child actor and what he brought to the table..and I must say he answered as best he could. All in all, they did seem a great group to work with. Just wished I liked the film more. I went into the film knowing absolutely nothing about the story. So, like you, I assumed it was going to be a straight thriller. However, I was pleasantly surprised by what it actually evolved into. Plus, I thought the performances by Larson and Tremblay were fantastic. I can understand why you found it all a bit underwhelming, but the film worked for me. Yeah.. I hear you…I didn’t know anything about the film walking in either..and so many seem to love it and I always like that people can take away such different ideas from one film.. 😀 It’s what makes us want to see movies!! You know how much I enjoy reading your reviews so I’m going to pop on over and read yours too!! Aw, wish you liked it more! I can definitely see why you would think the way you did about the movie; I found the scenes to be really compelling rather than plodding, and I liked the balance between the suspense/thriller aspects and the emotional character drama. Haha x100? Woww,ok,if only the cinemas would release these movies faster!! I gotta admit I really loved this one. The two lead performances were fantastic but I also really loved Joan Allen. LOL. Boyhood, my second favorite movie from last year. It really surprised me how divisive that film became. It seems many the people who really went for Birdman really didn’t care for Boyhood.